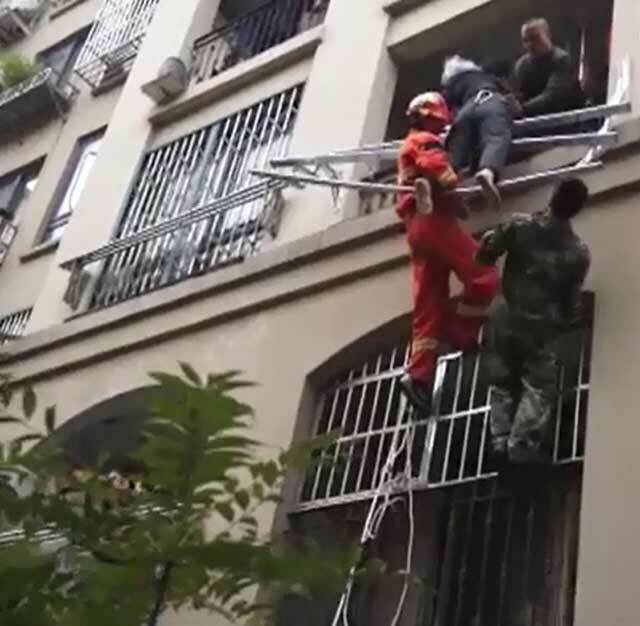 Firefighters and residents rescued a 90-year-old man who fell from a third-floor balcony and became stuck upside down in a laundry rack in the city of Wuhu in east China's Anhui province on Saturday. The man was home alone when he fell as he was placing clothing on the laundry rack on the outside of the balcony. His right leg became trapped in the rack leaving him hanging upside down. Neighbours saw the man and two men quickly climbed onto the second-floor window bars and held the man until firefighters arrived. Other residents placed a mattress on the ground below the men. 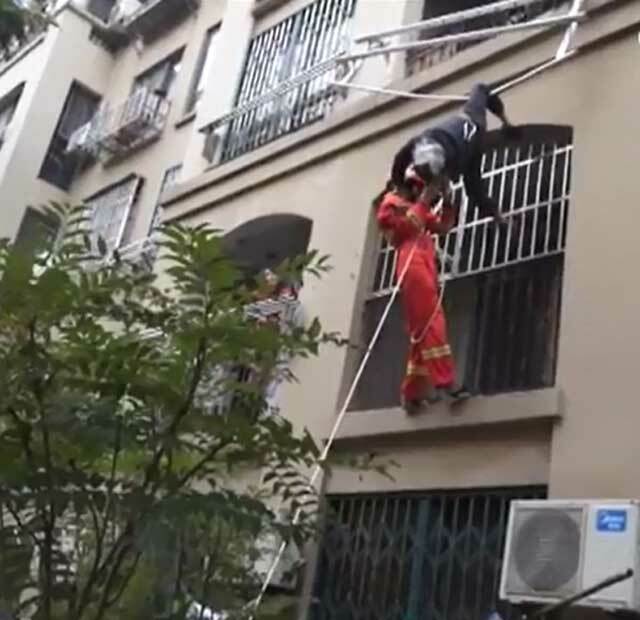 A firefighter climbed onto the second-floor window bars and tied a rope around the elderly man's waist. 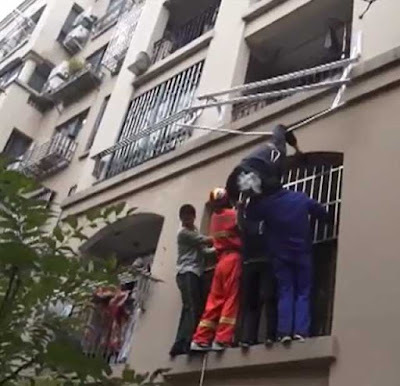 Residents then used the rope to lift the man up to the third-floor balcony. The elderly man was not hurt, according to reports.